Out of every single ‘new’ or ‘newish’ artist that has possessed quite a lot of enthusiasm in their music, on their way to releasing their debut albums or debut EP’s, Caitie Hurst would have to be one of the most enthusiastic. Not to take anything away from The Young Escape, Aaron Cole, Austin French or Riley Clemmons (who are each unique, powerful and emotive in their own right! ), but something about Caitie’s 3 singles thus far- as well as her debut EP How Could I Be Silent which released yesterday (or today depending on the hemisphere you are living in! )- that has captured my attention and had me completely won over. But if you’re unfamiliar with Caitie’s music, let me give you a crash course. Caitie Hurst is the latest artist to sign to Centricity Music, home of seasoned veterans such as Jason Gray, Andrew Peterson, Jonny Diaz and Aaron Shust, fan favourites such as Lauren Daigle and Jordan Feliz; as well as up and coming artists such as For All Seasons, North Point Inside Out, JJ Weeks Band and Carrollton. And if you want to know how her songs sound like- then maybe one of the best words would be pop. No, not the mindless pop we sometimes hear on mainstream radio, but more like the inspirational hopeful pop that is the kind of music I’d want to hear when I’m feeling down and uninspired. So how does How Could I Be Silent rank amongst all the other ‘debut’ releases from new artists? Quite up there, in my opinion. With three of the seven tracks on this newly released EP being tracks that we have already heard, known and loved, let me give you a quick reminder of what these three (“Nothing To Hide”, the title track and “Answers”) are all about. Standing at just over 3 minutes, Caitie’s debut digital single “Nothing To Hide” is a ball of summery pop goodness, led by toe tapping acoustic guitar and skilfully mixed electronic effects, which just screams ‘dance, dance, dance’ all over it. With Caitie showing us how to have fun and how to worship Jesus… at the same time; we remember that anything we are ashamed of, or in any way we think we’ve fallen short, we can bring to God and He will forgive and not judge. He will love us no matter the stuff-ups we become heavily involved in- we can fully know that Jesus loves each one of us immensely; there is nothing we can hide from Jesus that He doesn’t already know. He sees through all our walls and loves us anyway, all of our flaws, scars and imperfections. We are a new creation in Him, and it’s time we start living in freedom! Whereas Caitie’s first release was one part EDM and the other part pop, the title track (which was the second release, and Caitie’s debut radio single!) is pure pop with a smidgen of dance and jazz thrown in for good measure. Reminding me of Addison Road, Britt Nicole, Unspoken and Moriah Peters in music style, Caitie shows us how to have fun and how to worship Jesus, concurrently, encouraging us all to dance and to let go for Jesus, as we fervently proclaim that ‘…You’re the One that I, One that I, One that I need…’; and remember the fact that we shouldn’t really keep inside the good news of Jesus, because of the fact that it’s simply good news that we all need to know. Driven by strong guitars and pulsating drum beats, “How Could I Be Silent” is a track that we all should hear, if only to be the catalyst for us to step out in faith and overtly profess our love for Jesus Christ! “Answers” is the final ‘recognisable’ melody, and with the theme of this new song being questioning God, and asking Him for answers when we have loads of questions and things we do not understand; this confronting melody may be uncomfortable to listen to, however I reckon this song is needed immensely in a world that shuns God more often that thanks and praises Him. Driven by captivating keys and an eloquent, engaging voice, Caitie invites us to partake in her personal journey as she questions God, asking Him ‘…what about all the orphans praying for a home? I know You’re the good, good Father, but why are they alone? I want the answers…’, and then proceeds to let us know that though God sometimes may not provide us with the answers that we seek, in the timing that we may want Him to; He is still God, and sometimes He allows us to not have answers right now in order for us to trust Him with the bigger picture, and trust Him with our lives. With “Answers” being probably the most confronting and controversial song of 2018 thus far, Caitie’s fervent emotion permeated throughout this honest and emotional melody; is sure to provide, maybe not really answers, but comfort and healing as we walk through difficult times, sorrow and heartache. The rest of the four melodies are just as impactful and captivating than the previous three melodies. 3 minute pop number “Walkin On The Water” is probably the most ‘edgy’ track on the EP, as Caitie powerfully declares across pulsating electronic drum beats and vibrant synth that she will follow Jesus no matter how she feels and no matter the circumstances in her life. Using the imagery of walking on the water like how Peter walked on the water out to Jesus in faith even though he was terrified and petrified; Caitie encourages us in this melody to cry out to Jesus and ask Him where to walk, and then just walk out in faith, knowing that He is there and that He will catch us when we fall. The pop Owl City like “Lights” follows on with the theme of imagery, as Caitie earnestly compares God’s love and His presence as to Him turning on the ‘lights’ of our hearts, thus brightening up the darkness of our life before we knew Him; while “Wanderer”, previously released in 2016 as in independent track, is re-recorded here, with not many differences with the original recording- and is one of my favourite songs on the album, with Caitie emphatically reiterating that while we sometimes are lost in the darkness and are wandering; we can find our hope in Jesus if we look to our Saviour and allow Him to. The mini-album ends all too soon, with the closer “Signs”, the three and a half minute CCM radio friendly melody co-written with Matt Hammitt. Similar in theme to “Signs” by Michael W. Smith, we are met with an anthem declaring that signs of God’s presence and His love for us are all around us in creation; and this hopeful tune maybe can be the song that encourages us to keep our eyes focused on Him instead of our problems and our circumstances beyond our control. He is the One who is in total control, yes even of our own issues and failures; so whenever we are feeling stressed and out of control, let us remember that the God who made the heavens is the same God who loves each one of us. What a song to end with, as we savour this EP full of rich treasures! 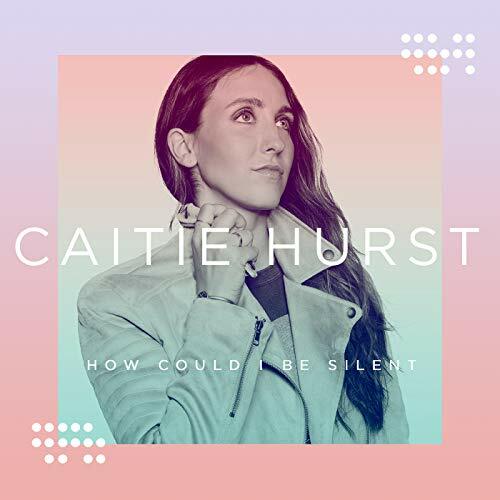 As far as debut projects go, Caitie Hurst’s How Could I Be Silent is near-flawless- it’s heartfelt, relevant, inspiring, personal and life-changing, as we remember that Jesus is the One whom we should trust with our questions, and trust with our whole lives. He has shown us the signs, come into our lives to turn on the lights of our hearts, and ensured that we are no longer wandering and lost. With plenty of melodies being highlights (can I say all 7 are my favourite tracks? ), all of these songs are thoroughly compelling, moving and poignant, and I can definitely declare that Caitie will have a bright future in the coming years for sure. Caitie’s journey as a music artist is just beginning, and I for one am eager to see how she progresses over the upcoming years. Well done Caitie for giving us great EP to listen to, ponder over and dwell upon; can’t wait for your full length album to release, maybe in 2018 or 2019!